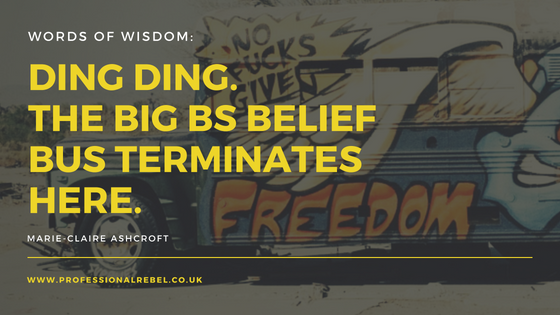 Ding Ding, The Big BS Belief Bus Terminates Here! When we have BS stories in our heads, like about who we are and how we are allowed to show up and have in life, they end up driving the bus. Even if we want to go one way, the big bs belief bus will take us somewhere else and we don’t always see that there’s another way we can go. We get so used to our own patterns by thinking a certain way, we totally can’t see that there are other modes of transport and other destinations. Just like me and my history of low self esteem slowing down my achievements or even Hannah from my last post, with her “I can’t” story. I honestly believe if nobody had said anything to her to correct that story for her, she probably would have gone through life with not so much belief in her own abilities, and I’m certain this would then affect choices she made and opportunities she took later down the line. 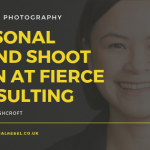 This time I’d like to share a story from someone who took part in one of my free challenges in the I Dare You Project a short while ago. So, this super sweet lady had felt quite down for a few years. She had a lovely husband, a lovely home and some awesome doggy companions too. But she really wanted a family. They’d been trying for years but no joy. When you’ve tried something for so long and it doesn’t happen, your head can start to tell you you’re a failure. You can start to think you’ve let people down around you. You cringe at anyone asking you about it. You look at people around you, your friends, your colleagues, people you look up to and even in the messaging around you in films, magazines, just everyone. Feeling like a failure isn’t really something people want to talk about, you feel ashamed and that feeds your head even more and it can go further and further downhill into a pit of your own despair. Now I don’t know the thoughts of this lady in particular but I have had feelings of being a failure, or things taking much longer than you had hoped or having to give up something because it just wasn’t right. I have felt ashamed and I have felt like I didn’t know who to talk to. If you don’t have something to snap you out of that train of thought, your own pattern, you continue on a downward spiral. You need a pattern interrupt. Something to inspire a plot twist. Sometimes it’s just knowing that there are other possibilities, other options, other ways of thinking about it – a reframe. I had no idea how this lady was feeling until I received a heartfelt message thanking me. Something I did, or said and put out there, planted a seed in someone’s life and changed it – not just for them, but for a little girl too. Sometimes you don’t need to turn your life upside down to make it better, you just have to have something (or someone) to remind you there’s another way. I’m not telling you this to blow my own trumpet. I’m telling you this because the idea I had to do something like this scared the living crap out of me and I couldn’t tell anyone about it for ages. It felt silly, I felt like I would be judged. But I worked through it and it’s an idea that is helping people. So it’s things like this that we have to come back to when self doubt kicks in. Sometimes there are things bigger than ourselves that we feel called to do. We have dreams and ideas for a reason. We have to come back to why we are doing them and not listen to our heads which only want to keep us small and safe. Every time I get scared, doubt my ability or listen any other silly thing my head tries to come up with, I come back to those things – why I am doing it and how is it being of good service to others. Seeing how I’ve been able to help people is always a good reminder to keep going. By not listening to the part of myself that told me my idea was silly, I was able to help someone in a way I could never have imagined. I’m will be running the free I Dare You challenge again soon. Fancy joining us? Pop your info in below to get involved. Join the I Dare You Project and get dared to do that thing you always wanted to do. Join the Crew and get random dares to help you feel good about life and who you are so you can send ripples of awesomeness and joy out into the world and make it a better place.